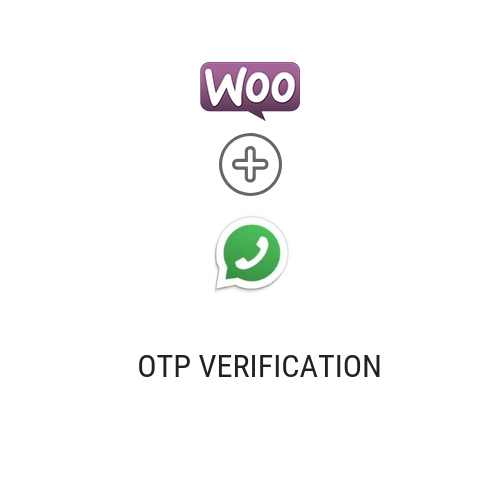 Reach 1.5 billion people instantly with the Twilio API for WhatsApp. 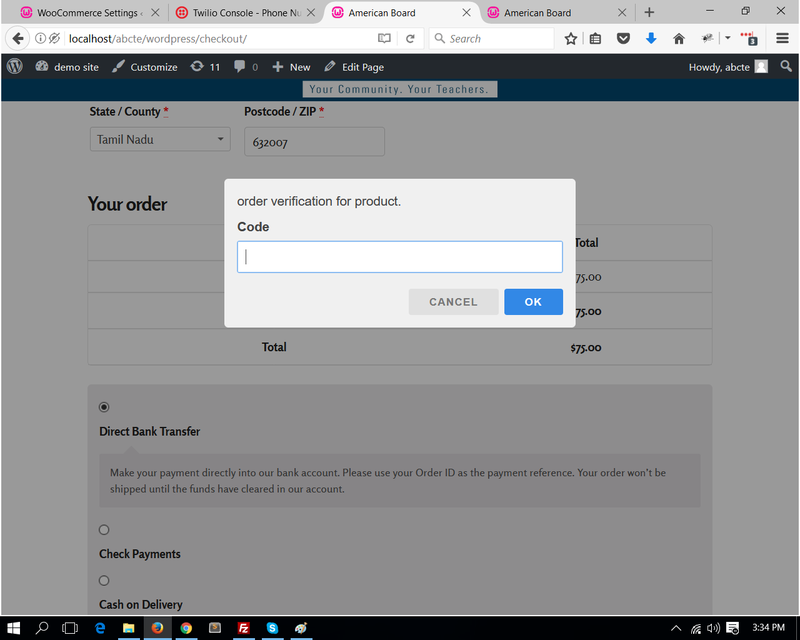 You can verify the user before placing a woocommerce order. To click the "settings" button then you see the following settings and fill the form and save the settings. 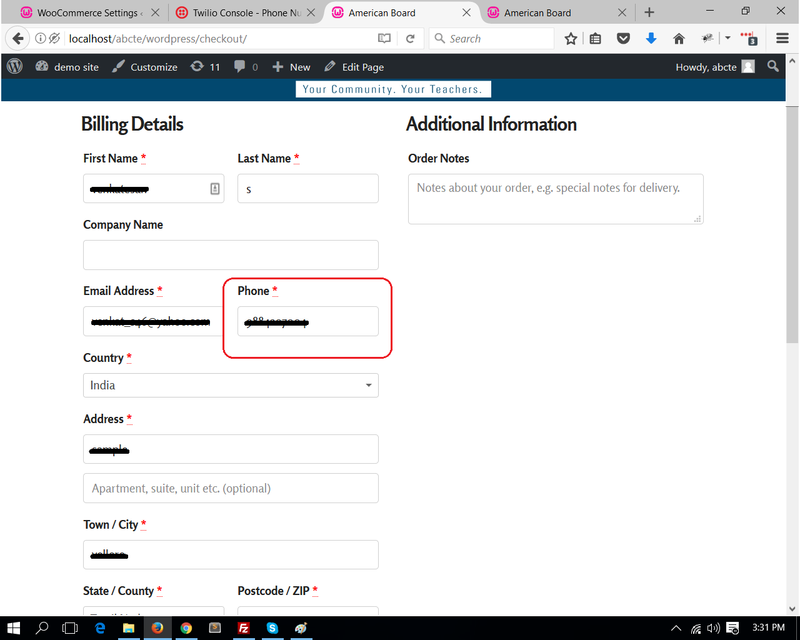 Under checkout page you can find the phone number field. The phone number has to be a required field for this verification to work. After filling the required fields, Continue to make payment. 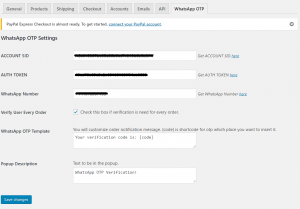 Before order is placed, You need to enter the verification code from your whatsapp.